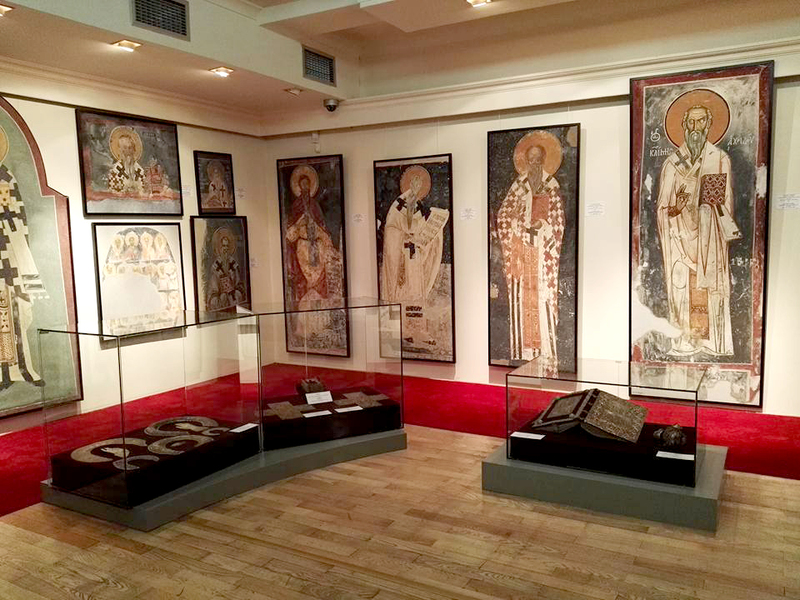 It is about twenty frescoes with the images of Slavic Enlighteners Ss. 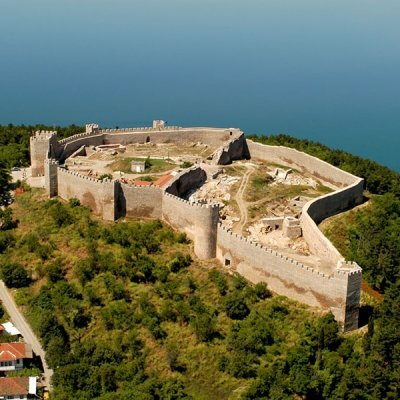 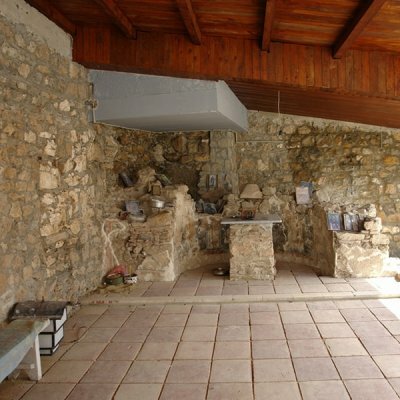 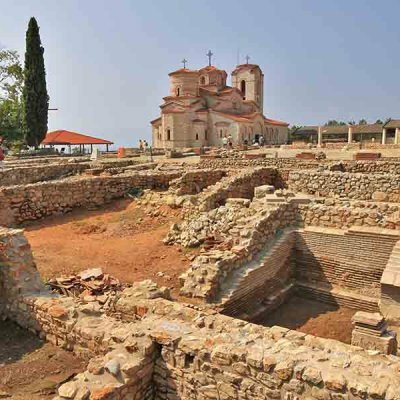 Clement and Naum of Ohrid, but also Ss. 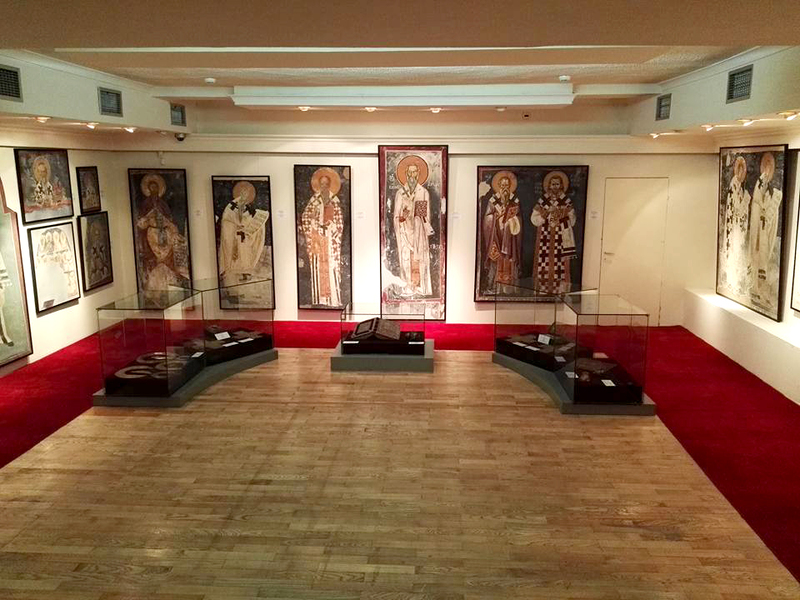 Cyril and Methodius and other saints from the churches in Macedonia and neighboring countries, but also one from Rome, Italy. 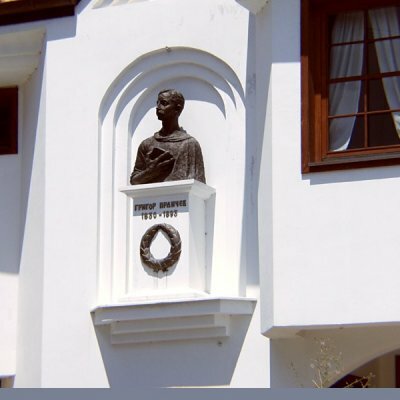 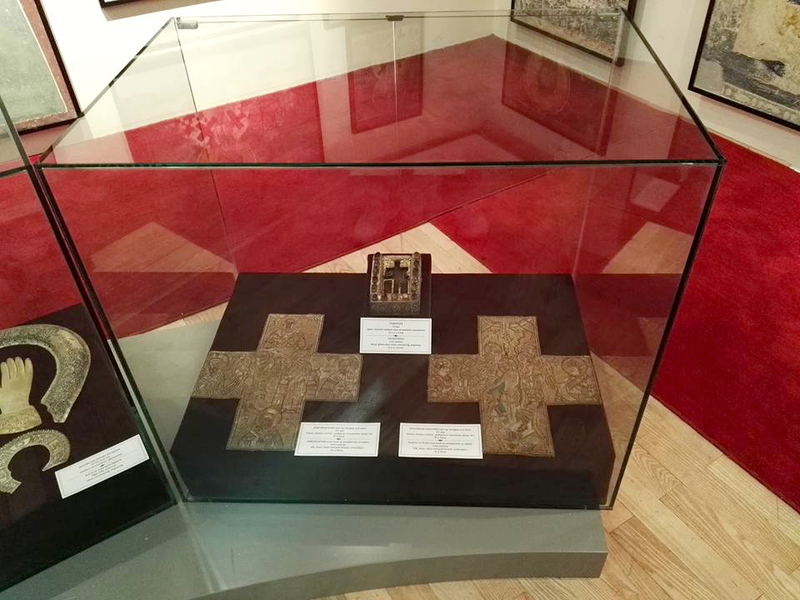 Copies were made mostly in 1966 and 1980, on the occasion of the celebration of the 1050th anniversary of the death of St. Clement of Ohrid (1966) and the opening of the Museum of Slavic Literacy in Ohrid (1980) by the most famous copists of the time, such as Dragomir Jasovic, Zdenka Zivkovic, Nikola Conev and others. 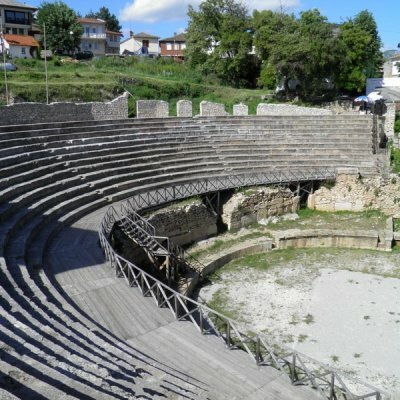 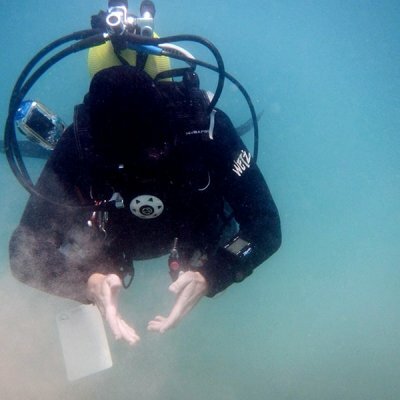 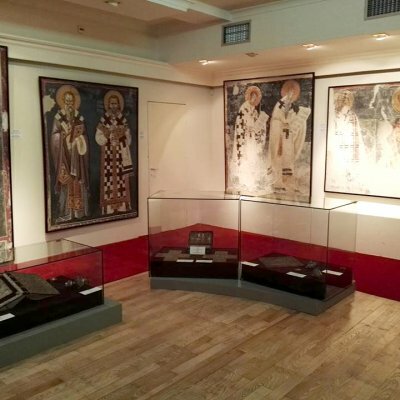 Last year, 2016, most of these frescoes were exhibited at the exhibition "St. Clement of Ohrid and his presentations in the art" at the University Urbaniana in the Vatican, as well as at two other exhibitions in Skopje and Ohrid. 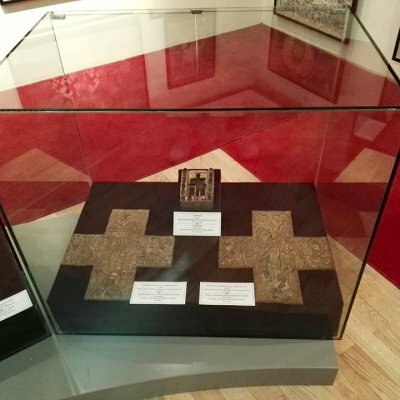 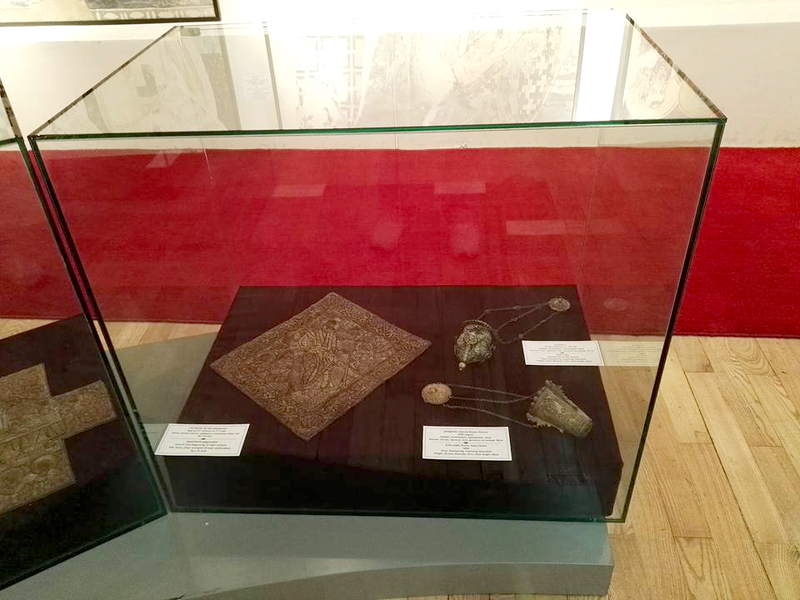 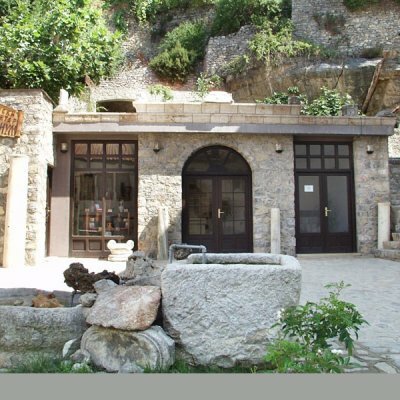 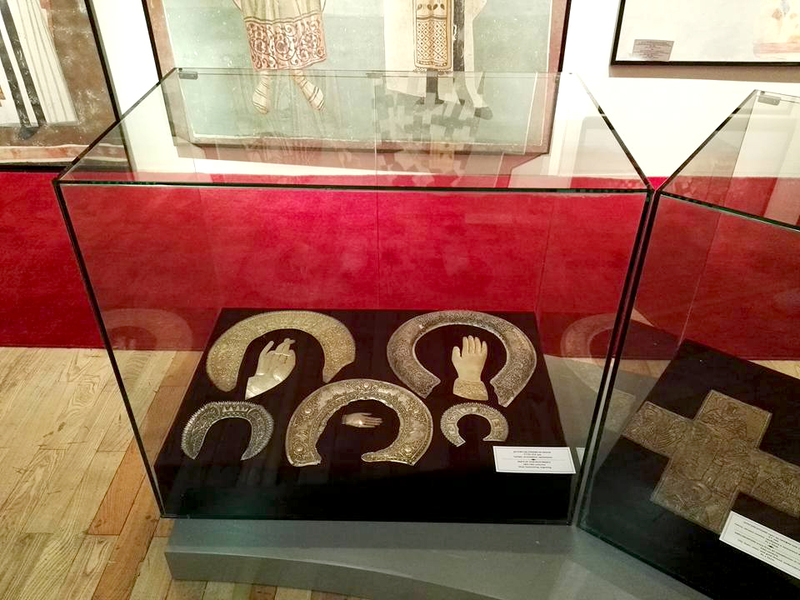 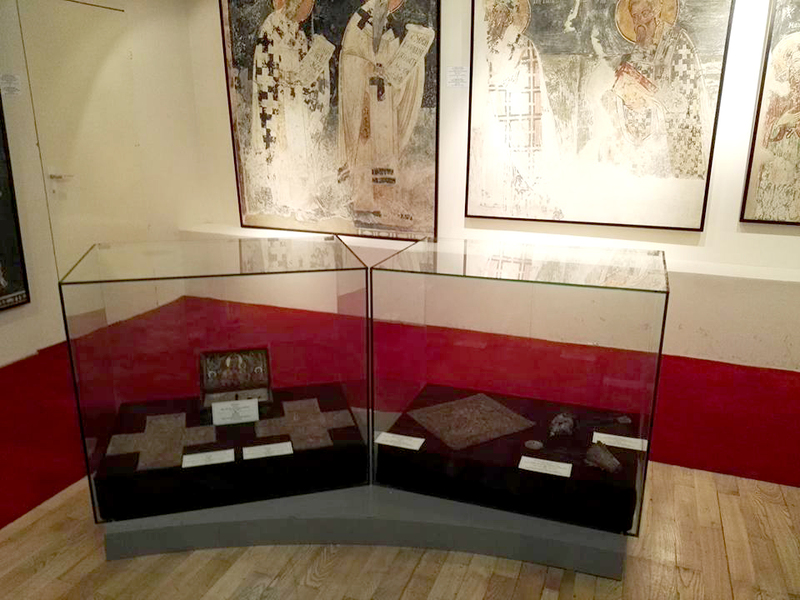 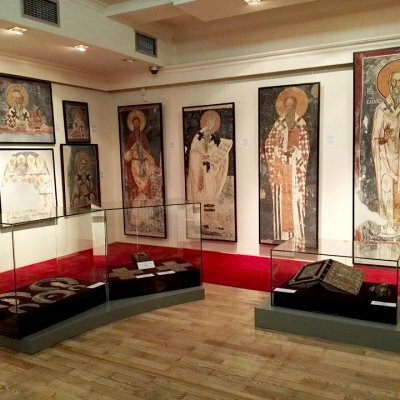 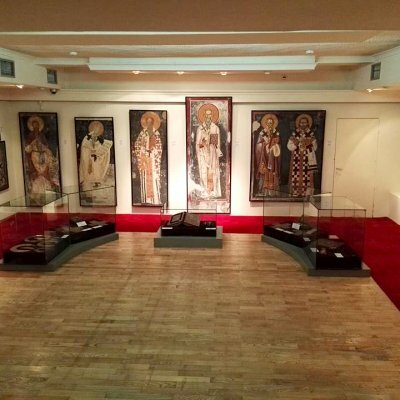 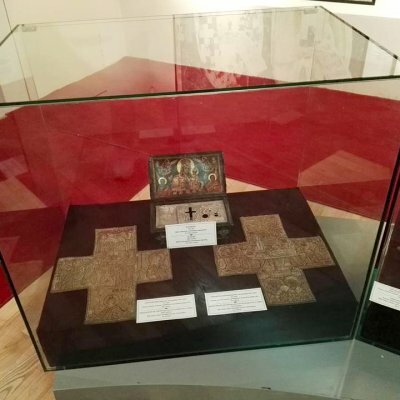 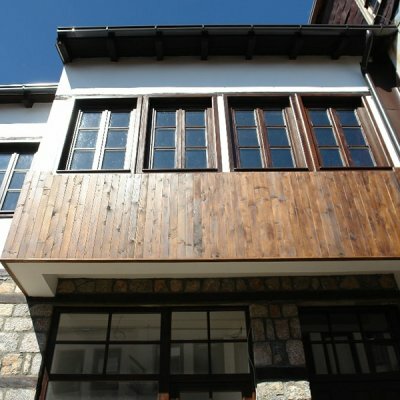 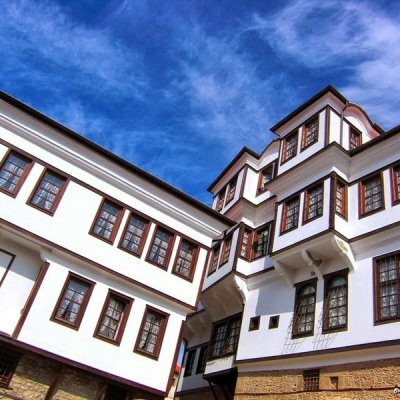 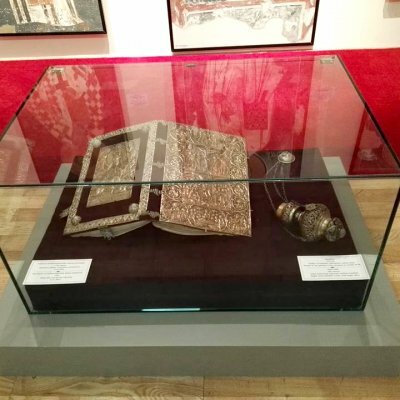 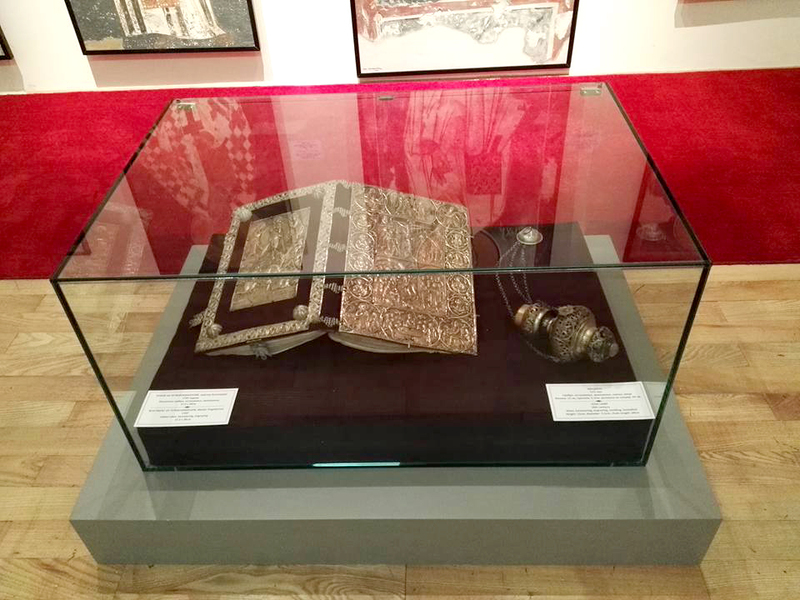 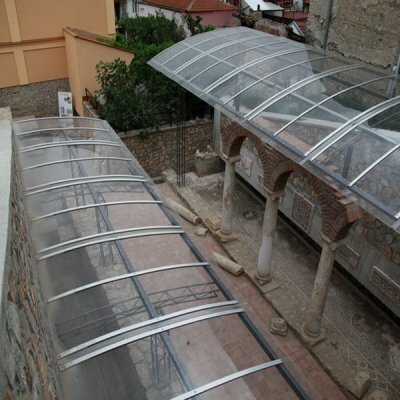 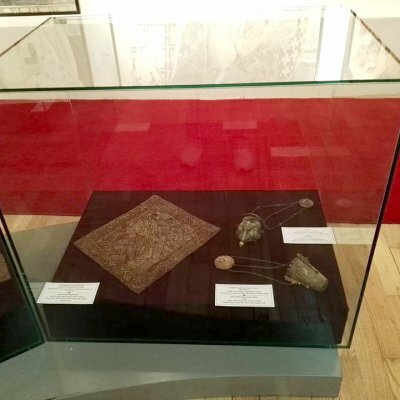 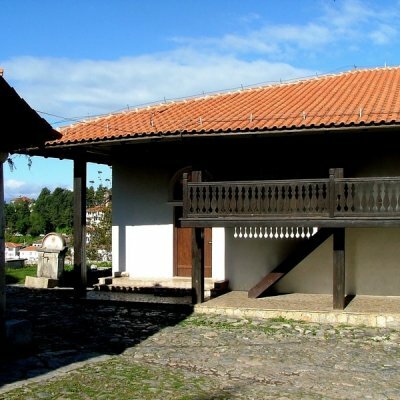 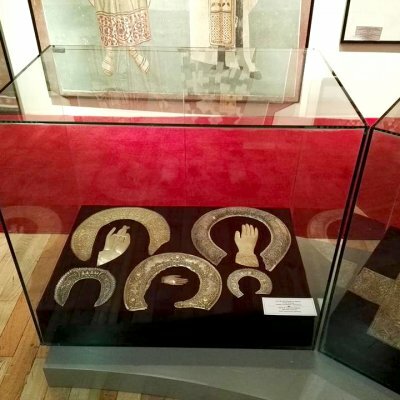 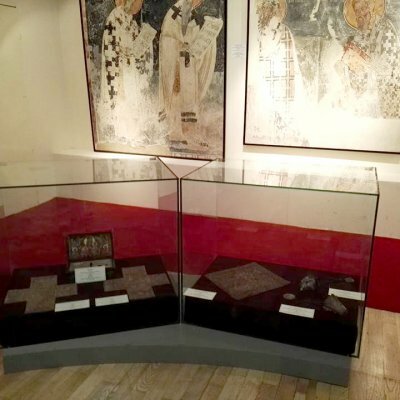 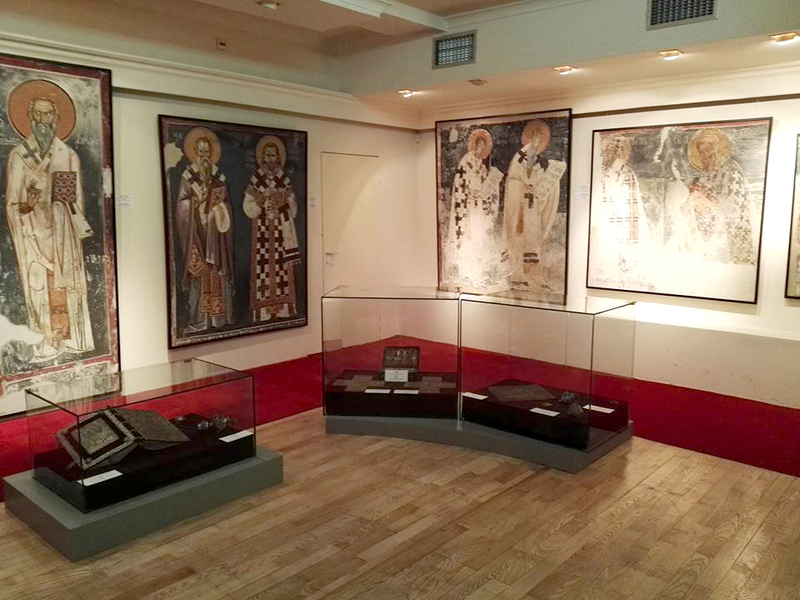 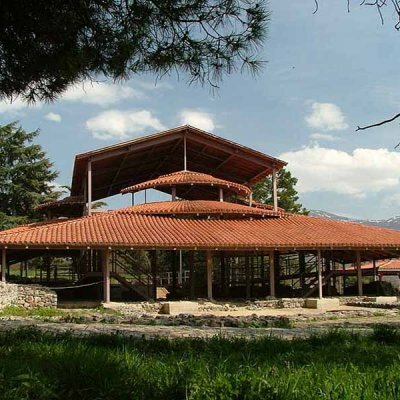 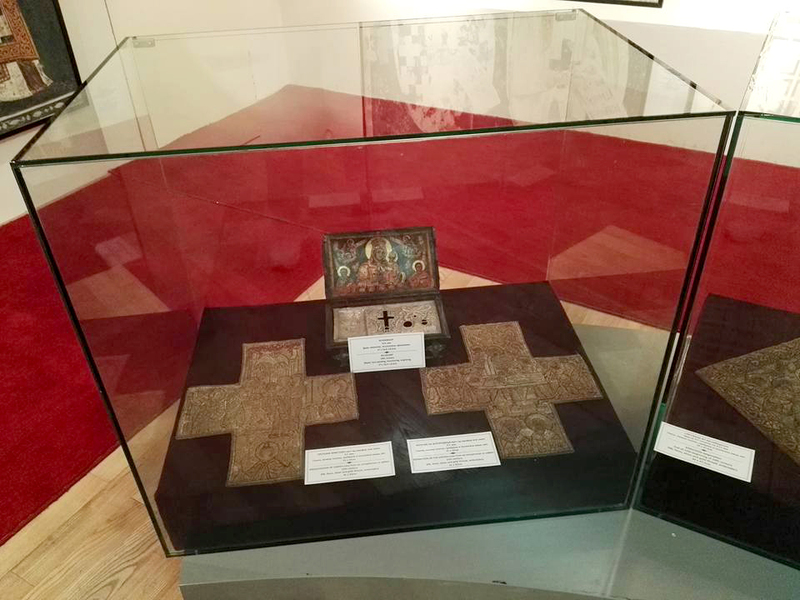 Within this exhibition are exhibited a certain number of church embroideries and liturgical items from the collection, in order to enrich the content and diversity of objects presented to visitors of the Gallery of Icons-Ohrid.